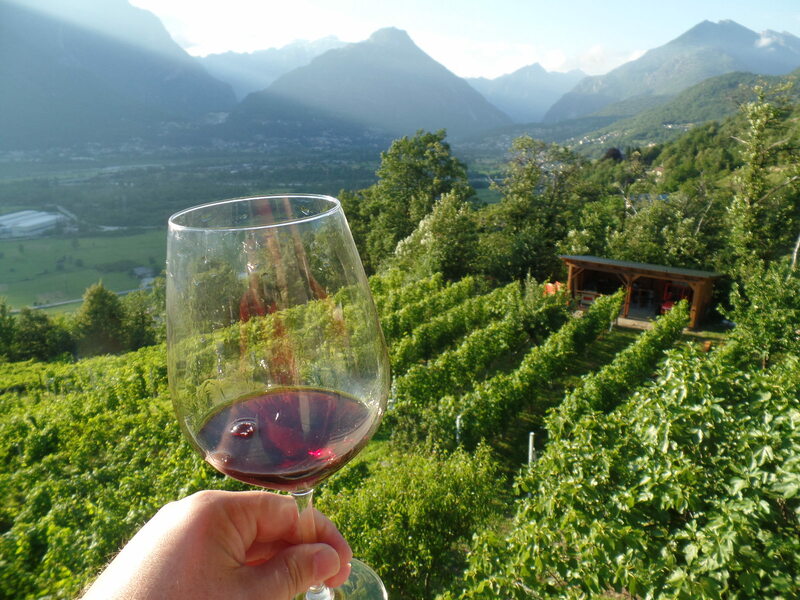 A wild, pristine, untamed and secluded piece of Italy surrounded by Majestic Swiss peaks, with a rich wine making history that goes back to medieval times, is where Villa Mercante is grown. This is the northernmost part of Piedmont, The Ossola Valley, which is located within the national park of Val Grande. The wildest wilderness area of Europe is where Villa Mercante is found. The legendary Prünent, a varietal of the Nebbiolo grape, has grown here for centuries and produces a distinctive red wine dating back to at least 1309. 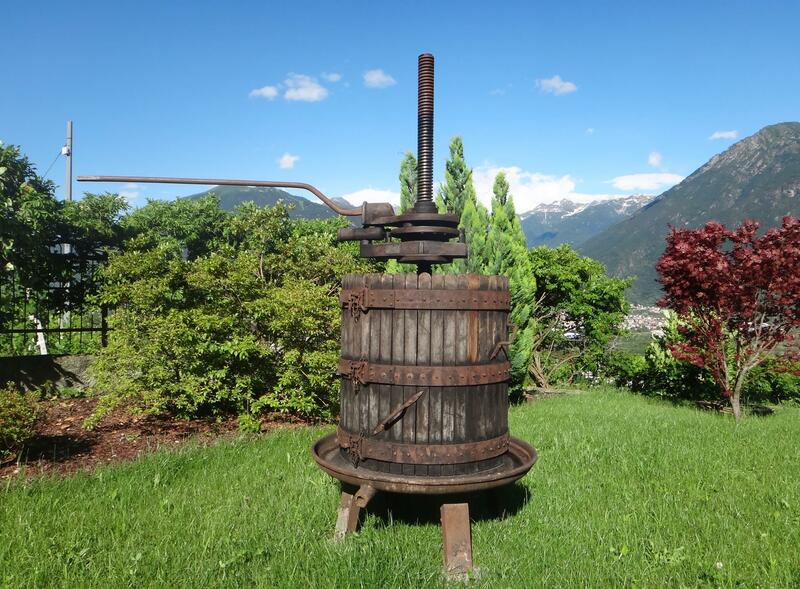 In medieval times, Prünent would be loaded into small wood casks, in the back of mules that crossed the Alps and traveled to the markets of central Europe. 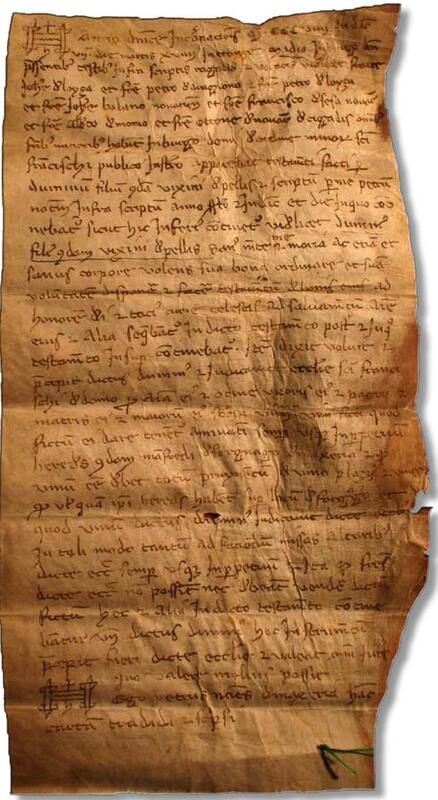 In the archives of the local convent of Saint Francis, a hand written parchment scroll was found. 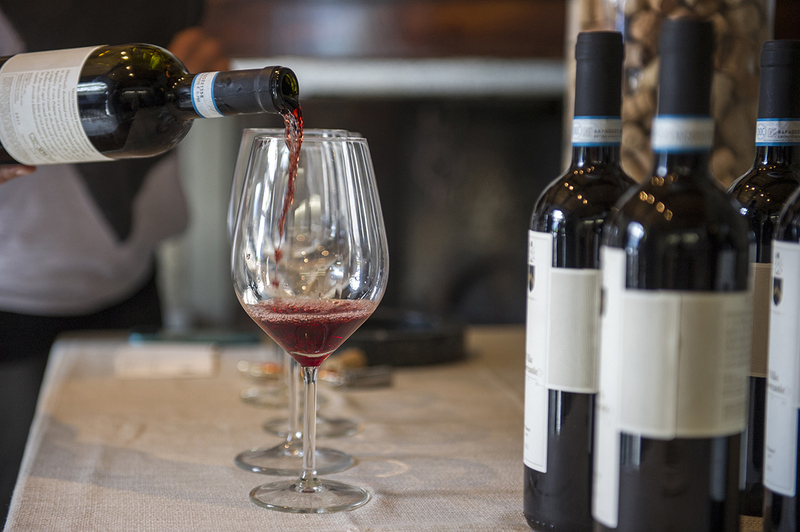 A fellow named Dumino da Pello left 219 liters of Prünent wine to the Church in exchange for expunging his sins. The date was May 18, 1309 AD. That certifies the existence of this legendary wine for over 700 years. De facto, making it one of the oldest recorded wines in Italy! This parchment scroll is conserved in the Collegiata Church of Domodossola, Italy. 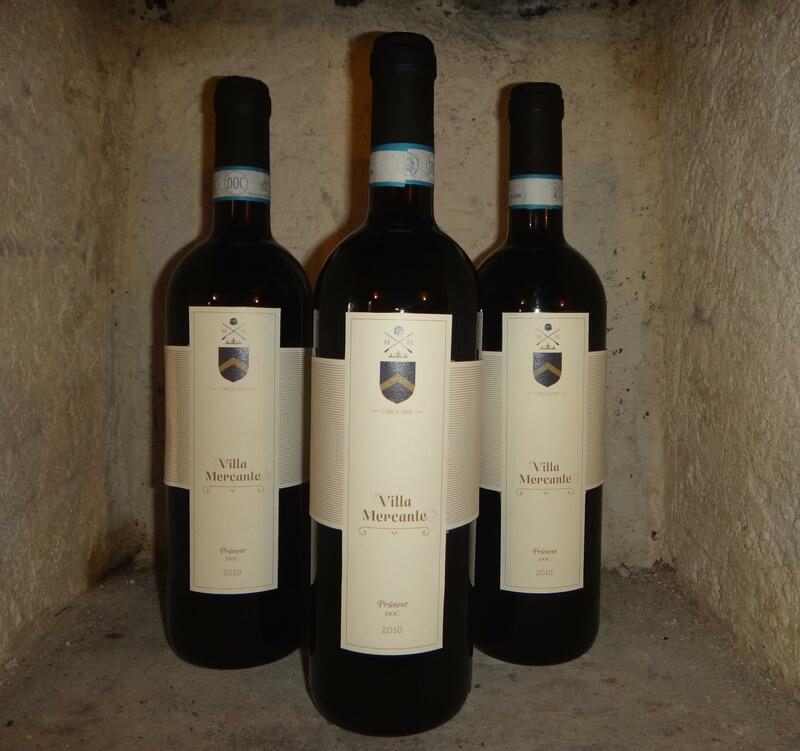 Villa Mercante Prünent is a single vineyard estate that our family has owned for generations. Its granitic soil, pure mountain water and minerals create a full bodied red wine with characteristics and aromas that are unique. The grapes are 100% Nebbiolo clone. Due to extreme micro climatic conditions of the land during past centuries, the grapes have mutated and achieved the unique characteristics that reflect this fascinating, untamed land. The piedmont region has an ideal climate for the Nebbiolo grape. The distinctive temperature variations between day and night strengthen the skin of the grapes and add to its complex aroma. 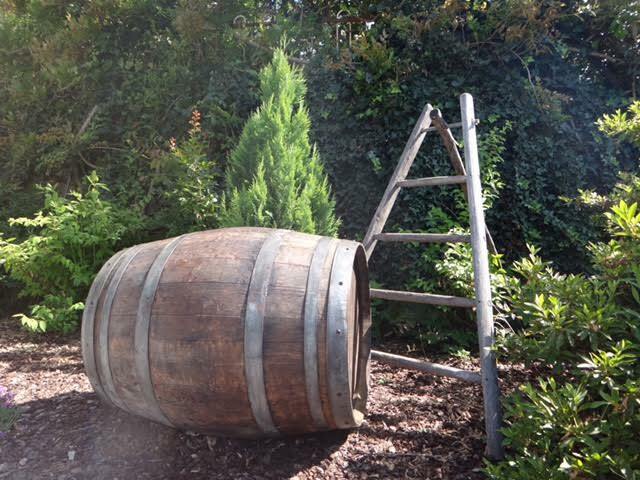 The wine ages in oak barrels for 12 months, then an additional 12 months in bottles before distribution. It expresses its best characteristics after aging in the bottle. 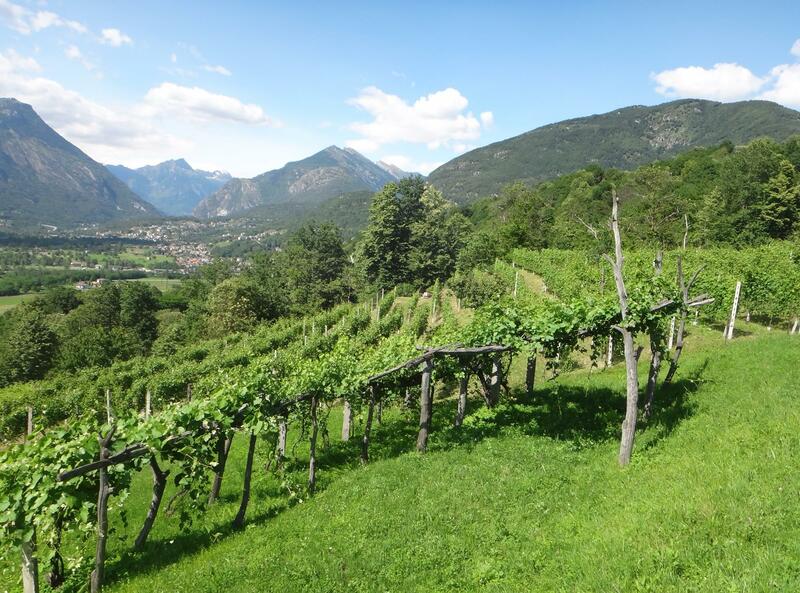 Villa Mercante Prünent is produced at an altitude of 400 meters, in the town of Trontano. The western exposure, on the vineyard’s slopes, blesses the grapes with full sunlight all day, producing outstanding grapes when harvested mid-October. Its fine ruby color, hints of rich tannins and complex aromas of vanilla with floral notes, provide a balanced structure and opulent finish. We hope you will enjoy Villa Mercante Prünent as much as we do!